This page I’ve created to provide examples of projects I’ve worked on. This includes photos of my professional work at HP (2016-present), Palmer Manufacturing (2014-2015), Accutek Testing Lab (2011-2014), as well as personal projects. As I look back now at the last few years of work, I realize how lucky I am to have had such a wide variety of experiences. I’ve worked independently, and as part of teams both small and large. I’ve worked for successful well-managed companies small and large. And I’ve suffered through the other kind too, and painful as that was I’m better off for having had the learning experience. HP Multi-Jet Fusion (MJF) 300/500 Series 3D Printer (the exact model pictured). The entirety of 2016-2018 was spent developing a variety of printer hardware including one of 10 major subsystems with a small team. I was fortunate to join the team at an early stage and stay until production release. This product was designed for Medium/High volume manufacturing, and I spent my time identifying problems and developing hardware solutions from idea to prototype through tooling & production. I was also able to travel overseas two times to support the assembly line by troubleshooting, training, & developing work instructions. I was responsible for dozens of parts including injection molded, thermoformed, & die-cut plastics, lots of sheet metal, a few cables, and many production MJF 3D printed parts. Accutek Custom Extensometer & Calibration jig: Hard to see but those aluminum rectangles in the photo would have cost up to $10,000 were you to buy them new! They are strain gage based extensometers capable of repeatable measurements of .0001″ that I custom designed to measure strain on special tensile test specimens. The red fixture is used to calibrate it. 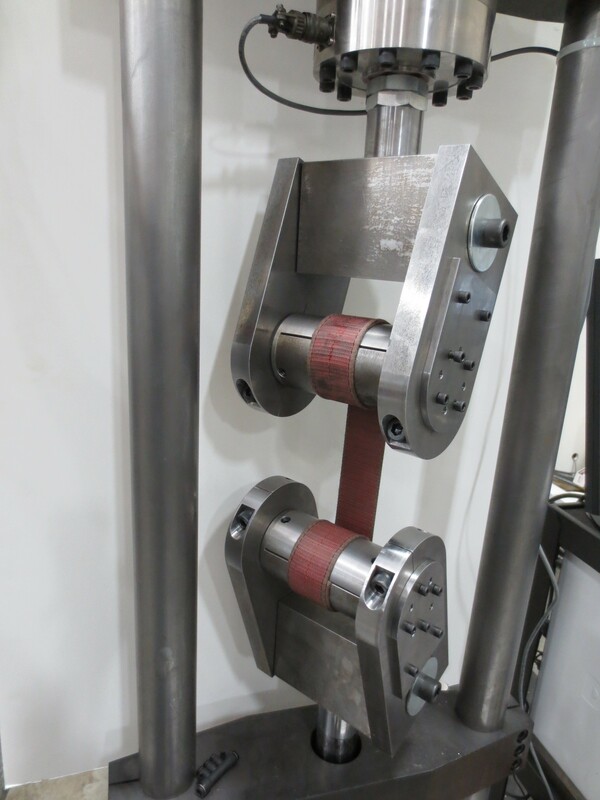 Accutek Custom Bearing Testing Machine. (Not intended to look pretty, just carry out a difficult test!) Designed to dynamically load aircraft bearings radially AND axially WHILE spinning them. 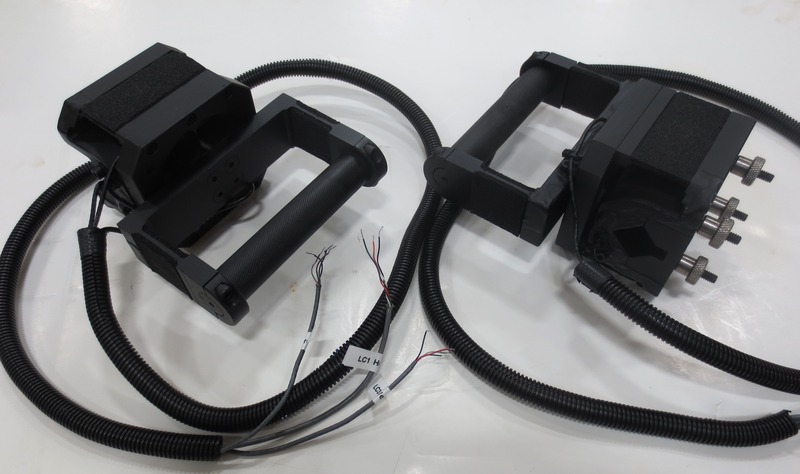 Assembly used servo hydraulic pistons and servo motors for control. Precision controlled using RMC motion control software. 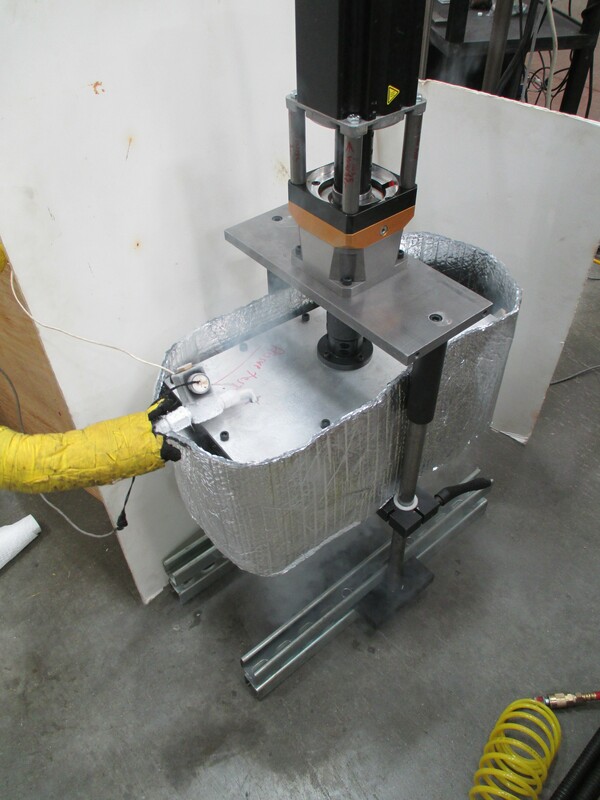 Accutek Custom Temperature Probe Testing Fixture. The machine is a two axis gantry designed to repeatedly dip test specimens into two separate very extreme temperature controlled oil baths. Controlled with DasyLab (similar to Labview) software. Accutek Custom Test Oven (large). 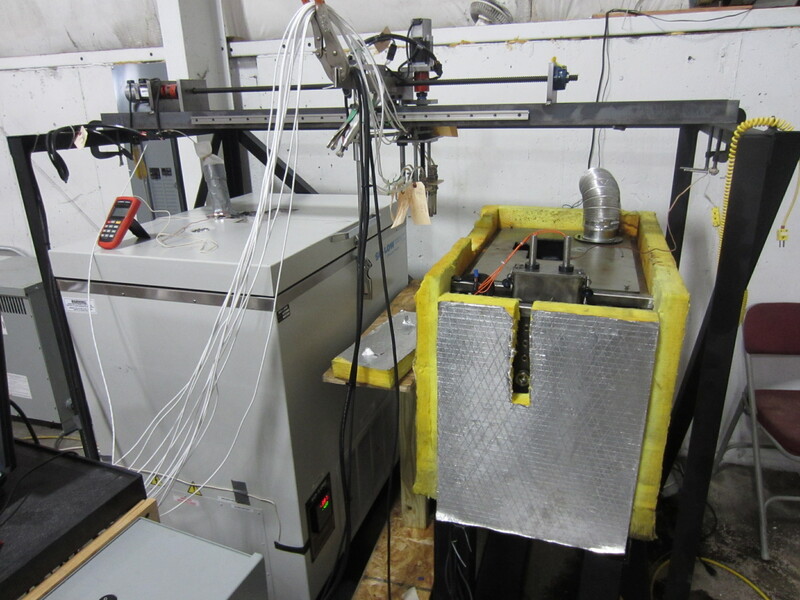 This type of equipment is usually very expensive so designing our own version gave us the capability to run tensile tests at elevated temperatures at a fraction of the cost. (The is the story with much of the Accutek equipment here. We were an ambitious group and if we thought we could design a solution cheaper than buying one, we did). Accutek Custom Test Oven (small). Designed to fit a smaller testing machine. 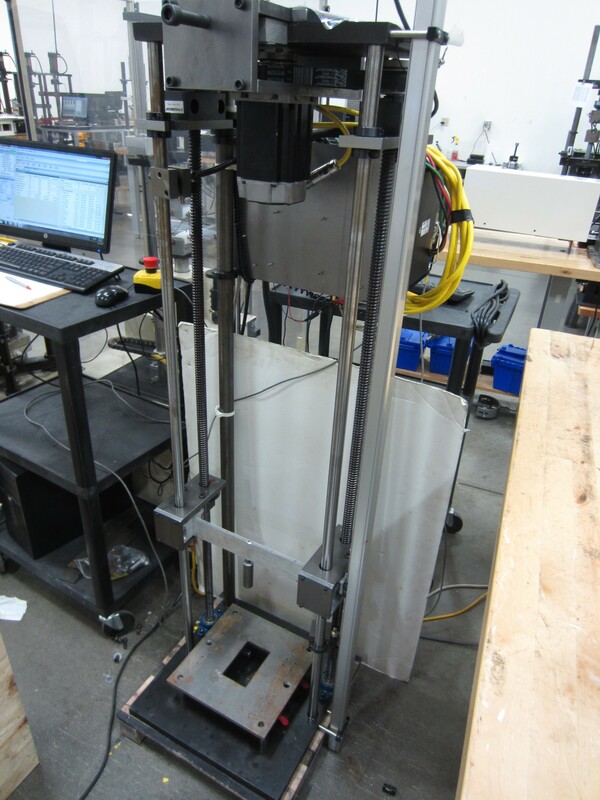 Accutek Custom Strap Testing Fixture. 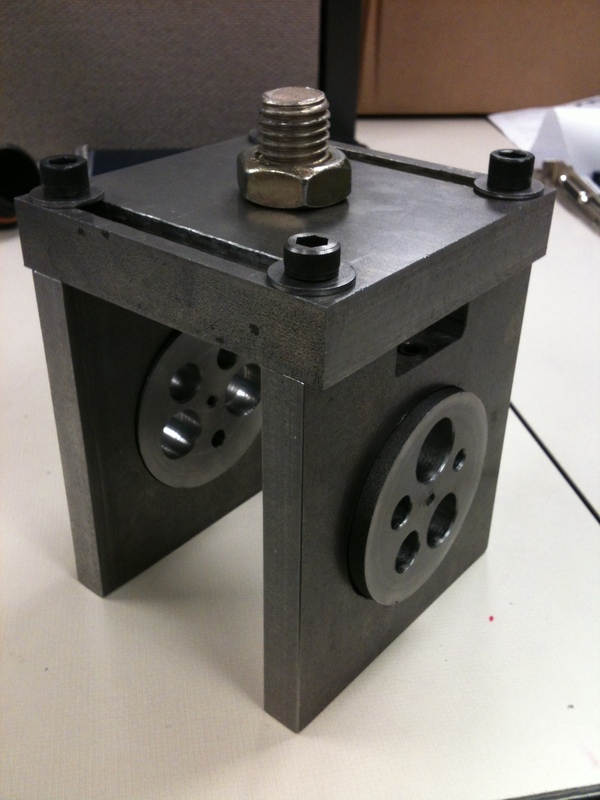 Many of my projects at Accutek called for custom mechanical jigs for loading random objects in specific ways. These grips were designed for holding and tensile testing toeing straps normally used for cargo trailers. Accutek Custom Hydraulic Wedge Grips. 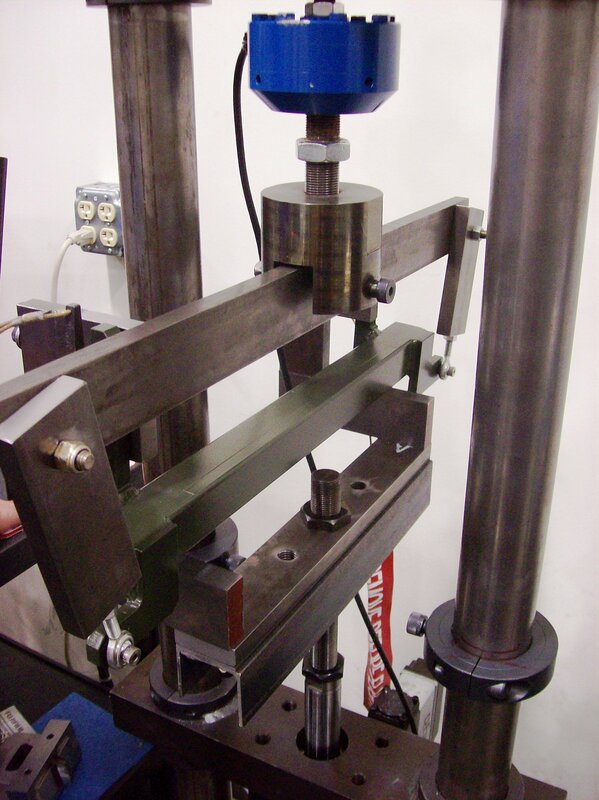 Designed to grip tensile test specimens at high loads without applying a preload to the specimens. This design was based on a professional set I reverse engineered and shrunk down to suit our needs. 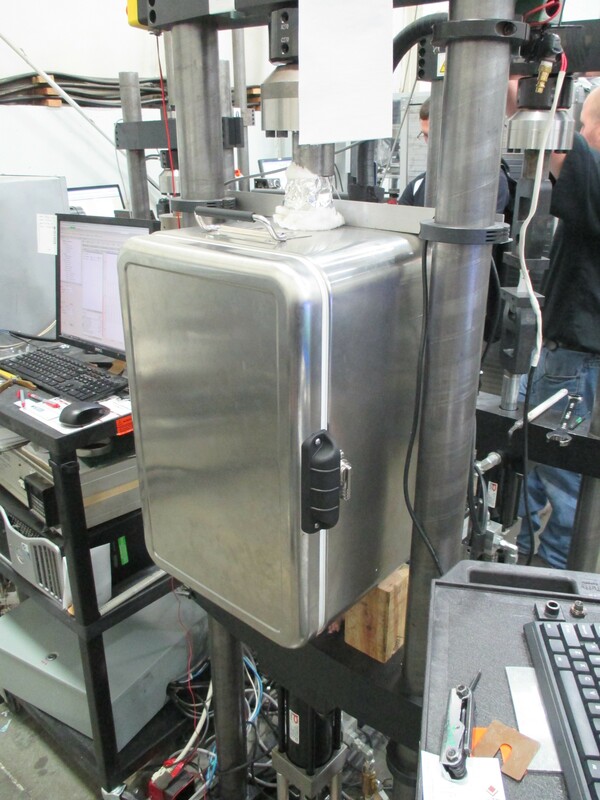 Accutek Custom Sterling Freezer: I took apart a portable “Ultra-Low” Brand stirling freezer and remounted it in a new orientation so that we could run tests at cryogenic temperatures without the use of liquid nitrogen (an expensive consumable for long tests). Accutek Custom High Displacement Test Machine: We had a need for a super high displacement test machine but I didn’t have the budget for one. So I retrofitted our drop-testing machine with ball screws, a servo motor, and old spare parts. 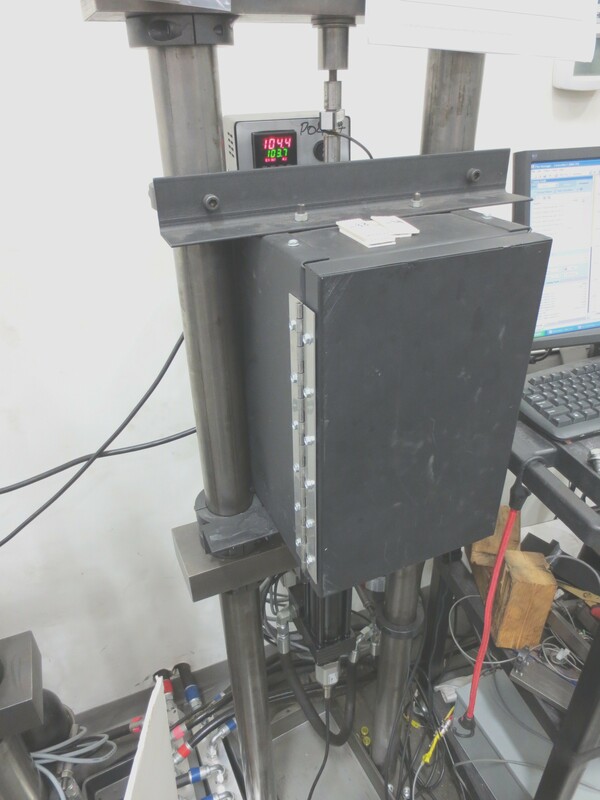 Accutek Custom Torsion Low Temp Test: Similar to the high displacement machine, this adjustable torsion tester was built by retrofitting various existing equipment. Used here to twist a bellow specimen with a PID controlled liquid nitrogen line to cool it off to the specified testing temperature. Accutek Custom Vibration Tester: Designed an adjustable height fixture to suit any size high frequency vibration shaker machine. 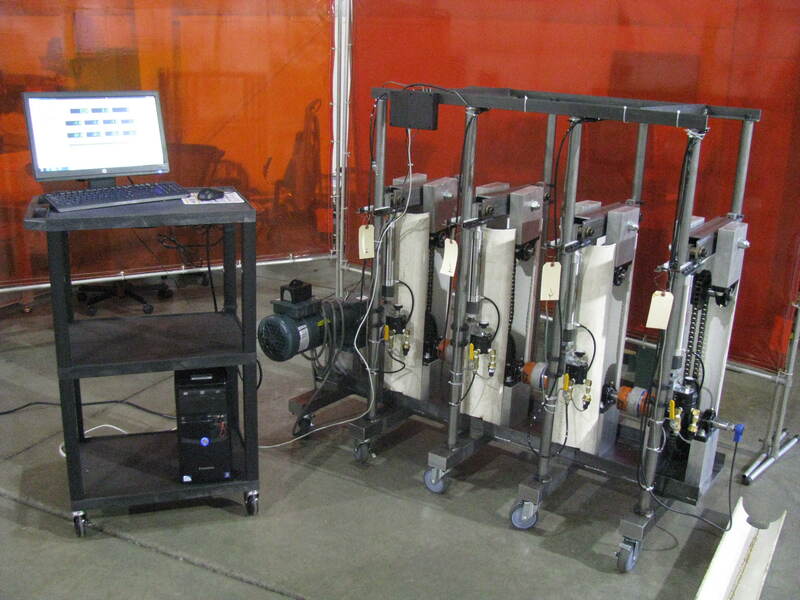 Accutek Custom Chain Testing Machine: This machine can dynamically test up to 4 roller chains at once. Each chain station has independent load control using a pressure transducer and a pneumatic cylinder. 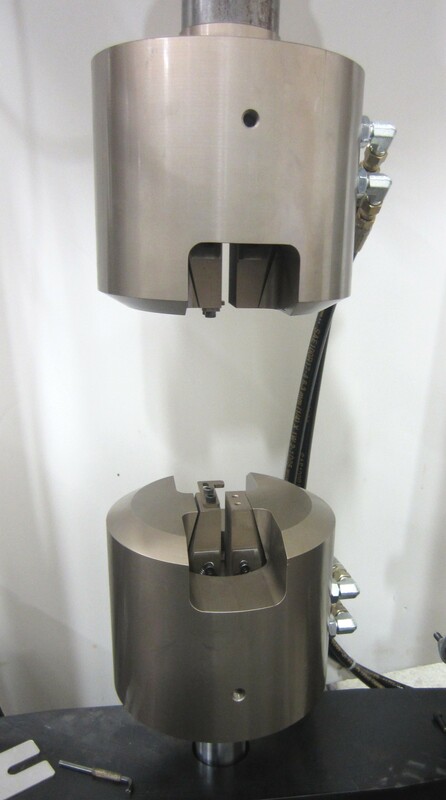 Accutek Custom 3 Axis Load Cells: Each device contains three custom designed load-cells used for ergonomics testing. 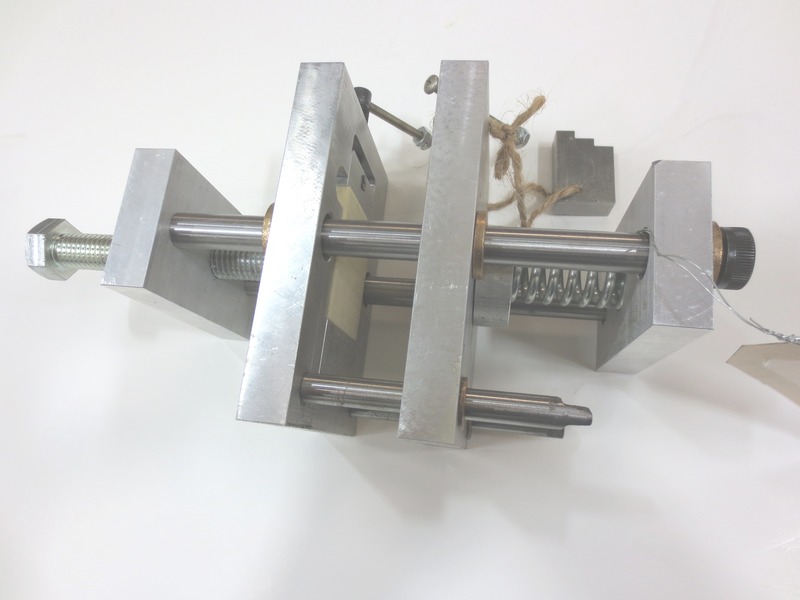 Accutek Medical Device Testing Fixture: For subsidence and expulsion testing on spinal implants. Much of Accutek’s business was based on medical device testing and I worked on many tiny custom load fixtures of this nature. 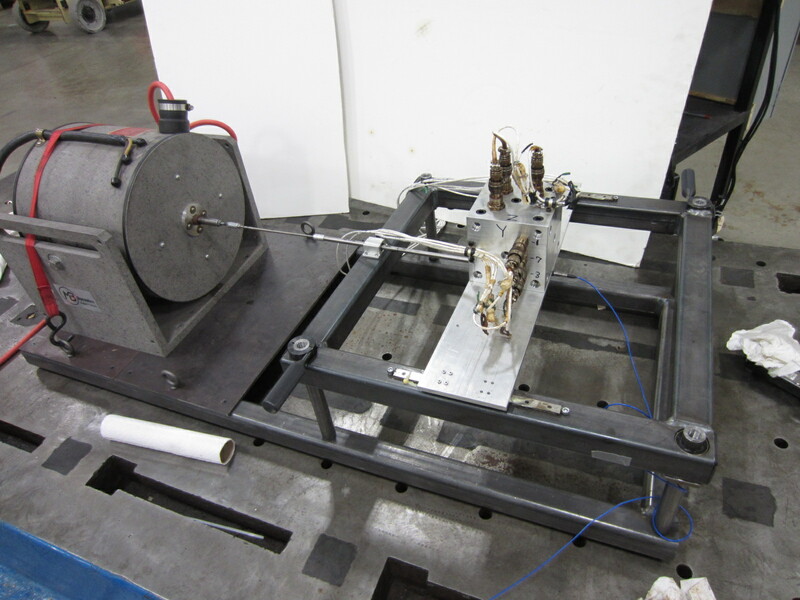 Accutek Custom Servo Fatigue Machine: Adjustable tabletop static & dynamic test machine using a ball screw & servo motor. (Shown as 3D model because I left before this machine was completely assembled). I also laid out & wired up the control cabinet for the set of 3 of the ‘Custom Servo Fatigue Machines’. I designed, sourced, ordered, and build this whole cabinet. 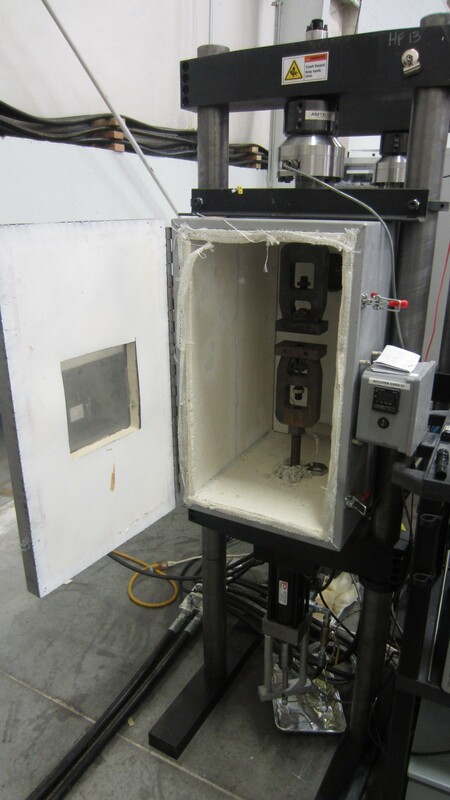 Accutek Weird Mechanical Test: This is an example of a custom test fixture used to apply a load in a very specific orientation. 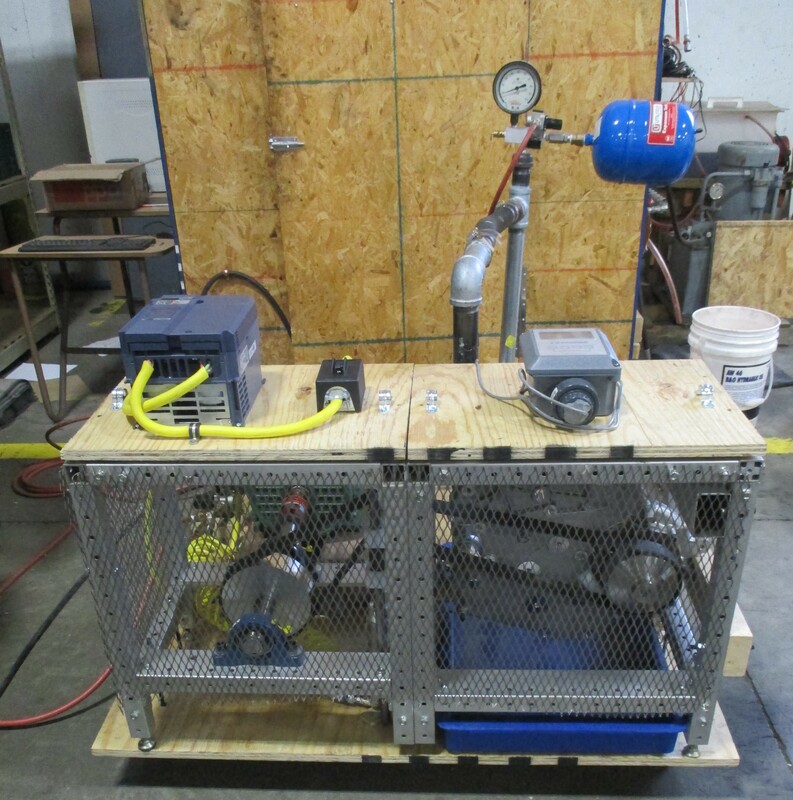 Accutek Custom Pump Testing Fixture. Designed to safety test Semi-truck water pumps under various conditions. Accutek Custom Clevis: This is a fun example of my personal pursuit of improvement of a work process. I was slightly obsessed with figuring out how to design a single adjustable clevis that could be used for the majority of tensile tests. I came up with an even better design later you can read about here. Much of my work at Palmer consisted of managing large out of date/inaccurate legacy BOMs & CAD, and making pseudo technical customizations to them to accommodate new customer’s specific requirements. Above Left: Palmer Manufacturing Sand Heater: This is a machine used to heat sand. I typically made modifications to basic dimensions to accommodate various heating loads, voltages, and sand volumes. 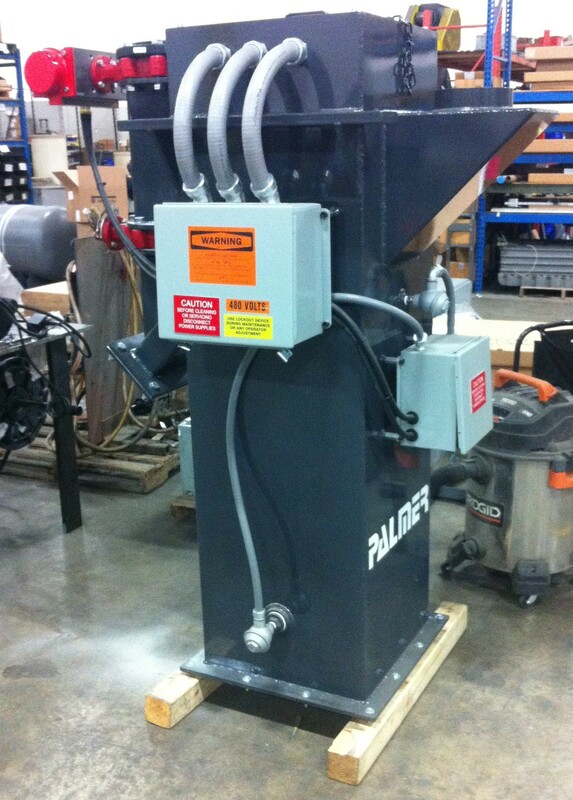 Above Right: Palmer Manufacturing Sand Mixer: This is a pieced together portable sand mixing assembly based on various pieces of existing designs. College Solar Car Chassis Senior Design Project: You read a lot more about designing 3 wheeled vehicles here. The intent behind sharing these here is to show that I am a highly motivated person and a recognized innovator in the areas of 3D printing and electric vehicles. My work has been featured on the front page of websites including Instructables.com, HackaDay.com, 3Dprinting.com, and 3DPrintingIndustry.com. Above: A collection of open source 3d printable robots for teaching STEM. Above: I converted a motorcycle to an electric vehicle, then I wrote a set of directions for how others can do it and I also wrote an article about the things I learned from the experience. 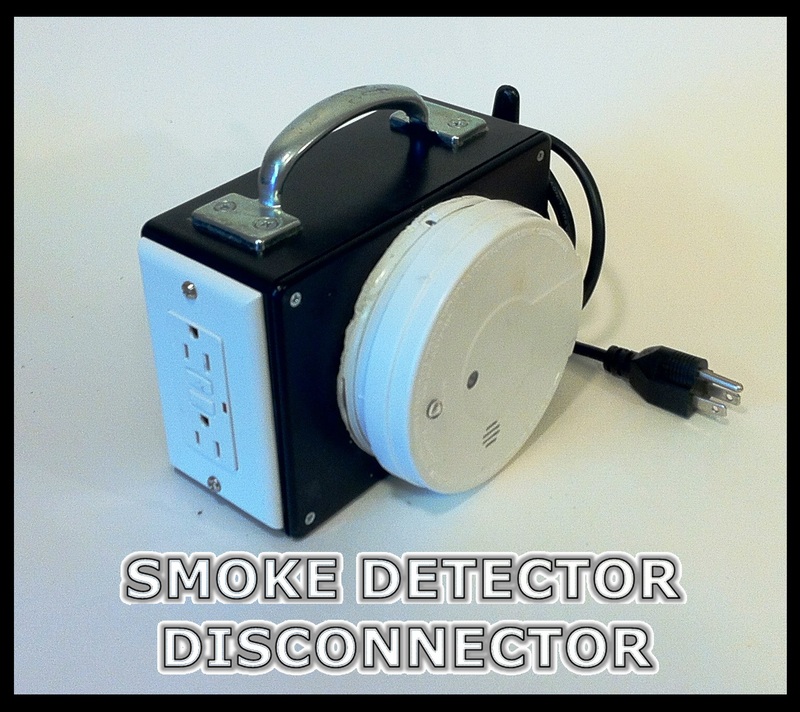 Above Left: My invention for preventing house fires. Above: The Bicycle BoosterPack. 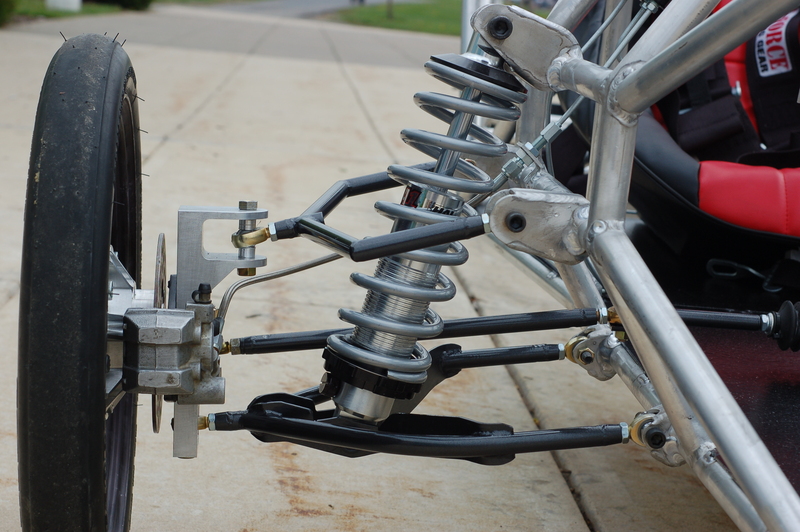 A reconfigurable & near universal kit that gives adult bikes an ultralight portable electric power assist. And finally here are a couple of videos of the side projects I am most proud of!